Beaded Necklaces, the Original Accessory? Whether it fulfills a religious function or decorative desire, beaded jewelry is one of the earliest known forms of jewelry. We examine beaded necklaces in greater detail to discuss their significance to cultures across the globe. It’s widely known and accepted that the first beads were natural objects, such as shells, strung into strands and worn or used as decoration, or religious purposes. For many years, it was thought that signs of early human culture first arose in Europe 40,000 years ago. These would include expressions of modern human behavior, such as jewelry use. More recent evidence, however, points to beads being used as early as 100,000 years ago in what is now North Africa and the Middle East. These beads, crafted from snail shells, show signs of drilling for use as beads in jewelry or other decorative objects. This would suggest that beaded necklaces and other beaded jewelry could be some of the earliest decorative accessories used by primitive humans. Throughout history, beads have been employed by various cultures in a variety of ways. In addition to decorative and religious jewelry, beads have been used as trade items, currency and gaming pieces. Prayer beads – in many religions, beaded jewelry is used as a devotional object. Christians, Muslims, Hindus, Buddhists and others all employ beaded necklaces as an aid in reciting prayers. Worry beads – similar to prayer beads, these do not serve a religious purpose. They just exist to help fidgety hands pass the time. Worry beads originated in Greek culture, with many varieties existing. Currency – when used as currency, it would be common to arrange beads into strands or necklaces for ease of transportation. A variety of styles of beaded necklaces exists across the jewelry spectrum. From simple pearl strands to more complex seed bead necklaces, it’s possible to discover a favorite style to make your own. Featuring natural gems or synthetic materials, beaded necklaces exist in an ever-changing variety of shapes, styles, and selections. 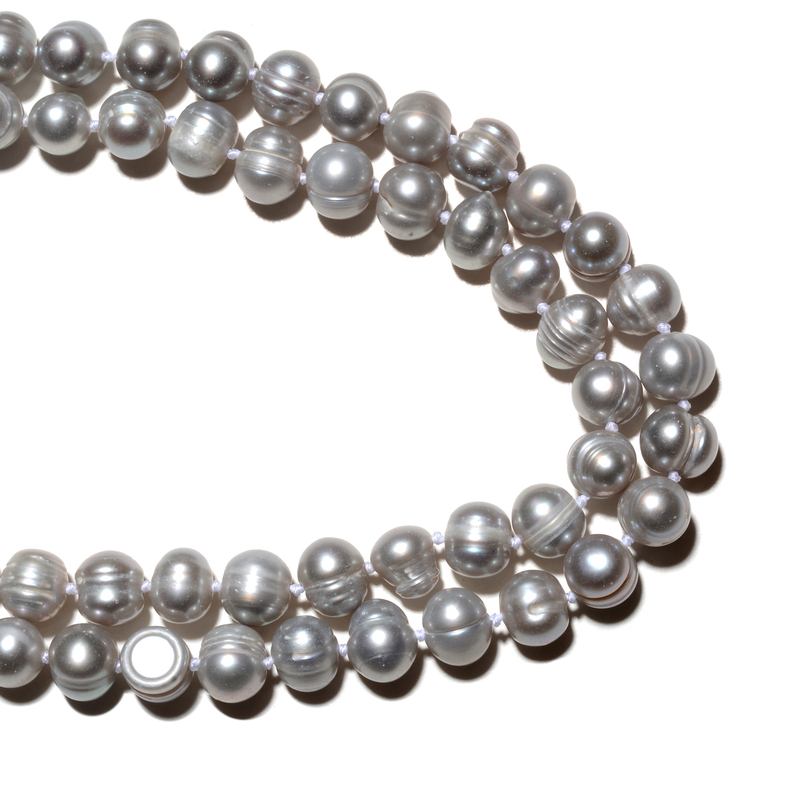 Pearl necklaces – one of the earliest kinds of material to be used in jewelry, pearls are a classic choice. Whether utilized in a traditional long beaded necklace, or something more elaborate, pearls represent an essential addition to any jewelry collection. Seed bead necklaces – these beads get their name from their shape. Resembling seeds, beads are strung onto individual strands which are then layered, wrapped and twisted to create more elaborate designs in these handmade beaded necklaces. Chip bead necklaces – gemstone chips are sometimes thought of as waste material, but these fragments make fabulous beaded necklaces! With their irregular, unusual shapes, chip beads are ideal for casual, natural looks and dressing up simple outfits. 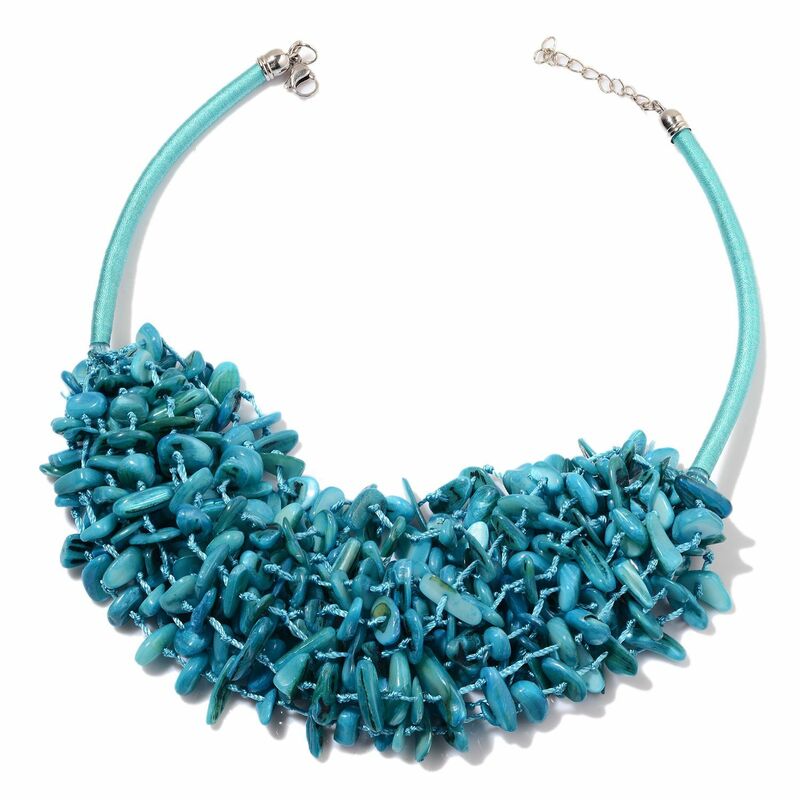 Statement necklaces – whether using layers of bead strands, or large pendants, statement necklaces offer creative and unique ways to do exactly that – make a statement! Bibs, layered, multi-strand and more, there’s endless possibility available. 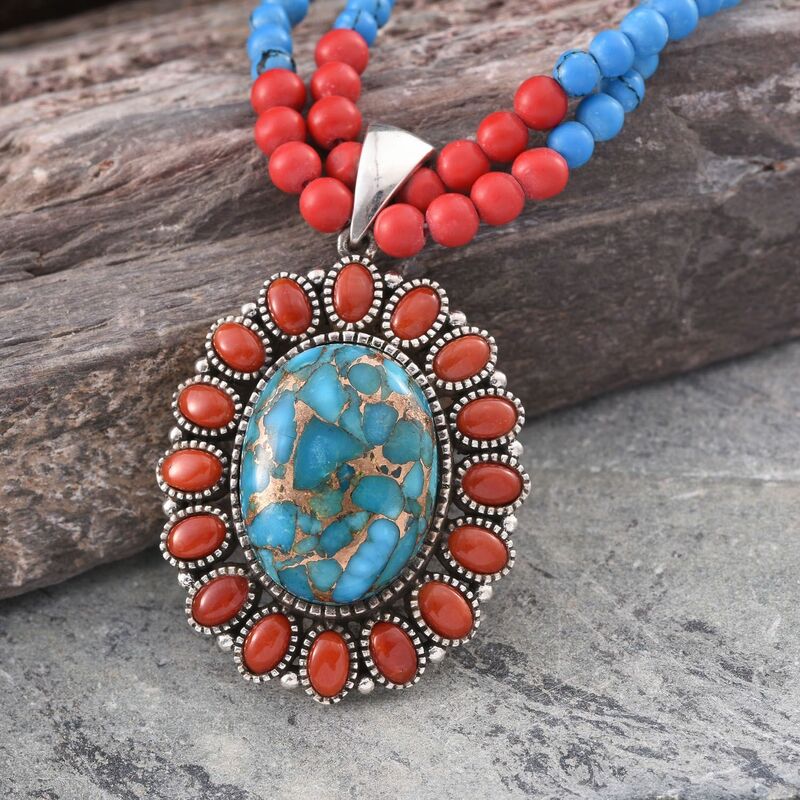 Scope out our beaded necklaces collection and see everything that’s in store for you!